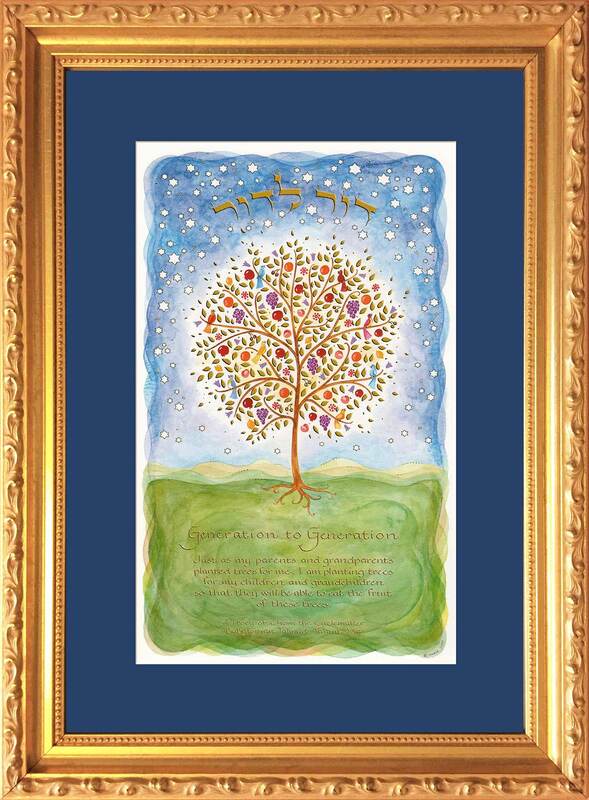 The Generations Blessing Art Print by Mickie Caspi is an ideal gift for parents or grandparents, for teachers, and for new babies or to decorate a child's room. It is also an excellent presentation or tribute gift. 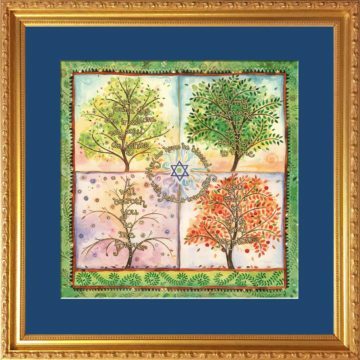 The Generations Blessing Framed Art features a stunning tree of life filled with birds, fruit and gold leaves. 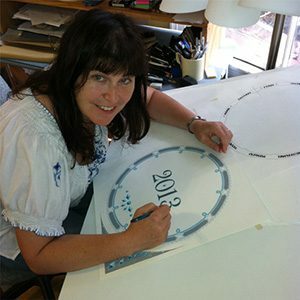 It is surrounded by Stars of David in a blue watercolor wash sky above and a green watercolor wash below. Available in Gold Frame and Blue Mat, the Generations Blessing Framed Art Print by Mickie is expertly framed and includes the mat, back dust cover, wire hanger and even a hook & nail for your convenience.